A British woman attempted to sue her former lawyers for professional negligence, claiming that, alongside a number of other allegations, they failed to advise that finalising divorce proceedings would inevitably cause her marriage to end. And you call yourselves lawyers! The curious case – made against two solicitor firms – had already been rejected by the court, but was revealed in the transcript of a later appeal by the claimant against the dismissal of other aspects of her case. Jane Mulcahy had argued that the lawyers should have made it clear that a divorce would cause her marriage to be terminated – something which she apparently wanted to avoid. The lawyers failed to regard her Roman Catholic faith and should have recommended judicial separation – a step down from full divorce – as an alternative course of action, she said. The appeal was also dismissed. 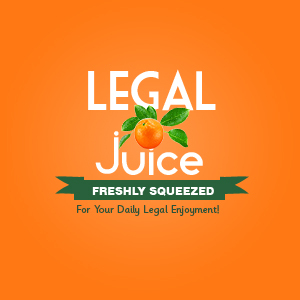 Posted in: Juice Drops, Odd Cases and Say What?